Weyermann ® Specialty Malts is a family tradition malthouse since 1879. A team of 100 highly motivated and well trained staff ensures that you will always receive true quality Weyermann ®. Twenty of these are graduates or graduates as professional brewers, maltsters, teachers or beer engineers. 1 kg Cara Aroma malt. 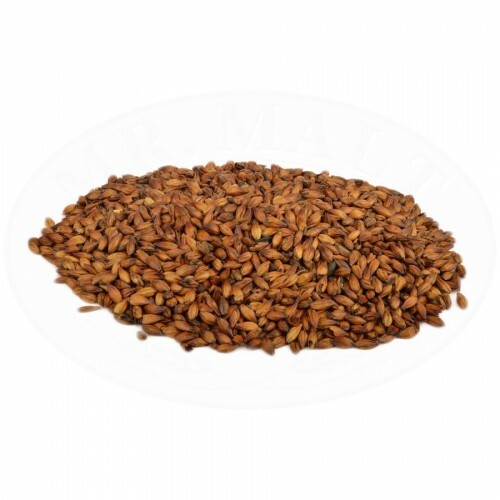 Caramel malt used to obtain a greater fullness of flavor and amber color. Maximum utilization per recipe: 15%. Malt is the main ingredient of beer. It is obtained by the malting (partial degradation of starch) of the cereal. The numerous existing varieties differ from the area of ​​origin and for the type of malting. Each type of malt has unique color and flavor (sweet, toasted with melted smoked), which are crucial in the characterization of beer produced. Ingredients: BARLEY malt; the product may contain traces of SPELT, WHEAT, RYE.